The Internet Archive has just enriched the BitTorrent ecosystem with well over a million torrent files, and that's just the start of "universal access to all knowledge." The torrents link to almost a petabyte of data and all files are being seeded by the Archive's servers. Founder Brewster Kahle told TorrentFreak that turning BitTorrent into a distributed preservation system for the Internet is the next step. 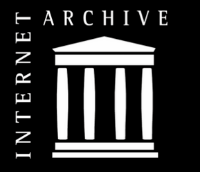 The Internet Archive‘s mission statement is to provide “universal access to all knowledge,” which is not all that different from The Pirate Bay’s ethos. BitTorrent is the fastest way to share files with large groups of people over the Internet, and this is one of the reasons that prompted the Internet Archive to start seeding well over a million of their files using the popular file-sharing protocol. Starting today, all new files uploaded to the Archive will also be available via BitTorrent. In addition, a massive collection of older files including concerts from John Mayer, Jack Johnson and Maroon 5 and the Prelinger collection are also being published via torrents. “I hope this is greeted by the BitTorrent community, as we are loving what they have built and are very glad we can populate the BitTorrent universe with library and archive materials,” Internet Archive founder Brewster Kahle told TorrentFreak. “There is a great opportunity for symbiosis between the Libraries and Archives world and the BitTorrent communities,” he adds. At the time of writing the Internet Archive is seeding 1,398,875 torrents, but hundreds of new ones are being added every hour. The Internet Archive recognizes that BitTorrent is now the fastest way to download files. Interestingly, the Archive’s plans for BitTorrent are not limited to providing an alternative download link for their files. Founder Brewster Kahle says that they are also working on turning it into a storage mechanism. “The next step is to make BitTorrent a distributed preservation system for content like ours,” Kahle told us. Kahle believes that the Internet Archive and the BitTorrent community can help each other and hopes to get the discussion on the preservation idea started. “I think this whole thing will be awesome, and possibly very important,” he adds. In the wake of recent news featuring raids, crackdowns, DDoSes and lawsuits, this announcement from the Internet Archive brings some very welcome positive news about BitTorrent. For those who are interested in tracking how many people are leeching from the archive, here are some fancy graphs.